I always love playing along with sketch challenges. They give me a template while allowing for lots of fun paper, stamp, and embellishment choices. For this card, I really wanted to make a fun Christmas card. 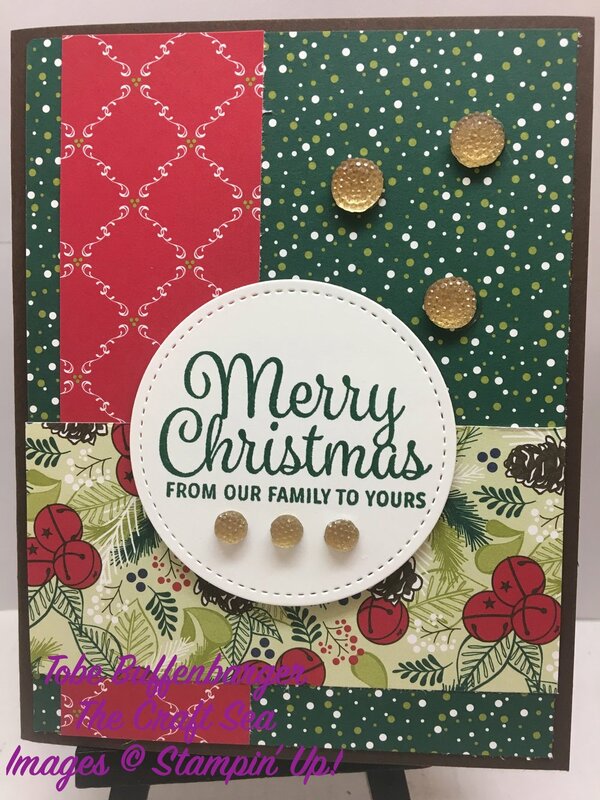 I paired the new Christmas DSP with a carried-over stamp set. Throw in some fun Stitched Shapes Die and fun Gold Faceted Gems and we get a complete card.